2014-date: Associate Professor in Biochemistry, Department of Biology, University of Padova. Present research focuses on the study of photosynthesis in different organisms investigating how evolution shaped the regulation of this metabolic pathway in algae, mosses and plants. Information from basic research is exploited for the development of new strategies industrial production of biomolecules from algae. The objective of the research is to improve algae efficiency in converting light into biomass and key limiting steps of photosynthesis are being identified by integrating biophysical, biochemical and functional investigation of algae photosynthetic apparatus with genome, transcriptome, lipidome and metabolome analysis. Information obtained are exploited to develop genetically engineered strains with improved productivity for a possible industrial application. This project was awarded in 2012 of an ERC starting Grant entitled : “BioLEAP— Biotechnological optimization of light use efficiency in algae photobioreactors” and is now continuing thanks to the support of private parteners. At present I am supervising the work of four PhD students, two post-docs, one technician as well as three master students. 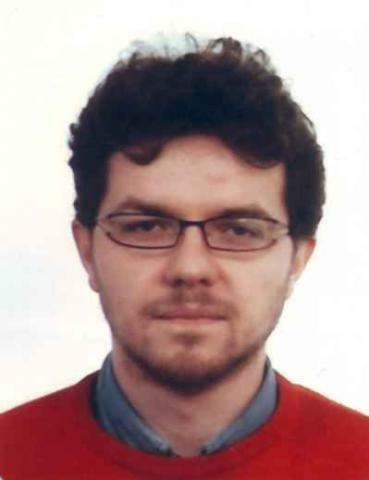 2007-2013: Assistant professor in Biochemistry, Department of Biology, University of Padova. Research activity was focused on the study of regulatory mechanisms of photosynthesis in the moss Physcomitrella patens, investigating how evolution shaped their adaptation during plants land colonization. In 2009 the research activity on the possible exploitation of algae for biofuels production was started. 2006: Permanent CNRS researcher working at the LGBP (Laboratoire de Biophysique et Génétique des Plantes) in the science Faculty, Marseille, (France). Research activity was dedicated to enzymes of carotenoid biosynthesis. Renounced to the position, opting for a position as assistant professor at University of Padua. 2002 – 2004: PhD thesis under the supervision of Prof. Bassi, working on plants photosynthetic apparatus compositions and functional regulation. The thesis was entitled: “Light Harvesting Complexes in Higher Plants: Role, Organization and Regulation”. The main subject of the work was the characterization of the antenna system of Photosystem I. Global demand of biomass is continuously expanding and new sustainable technologies are needed to avoid overexploitation of natural resources, reduce environmental footprints and greenhouse-gas emissions. Algae represent a valuable alternative for the production of several bio-commodities going from biofuels to feed, food and chemicals. Thanks to their efficiency in carbon dioxide (CO2) fixation, algae large scale cultivation can also contribute to the mitigation of anthropogenic greenhouse gas emissions. Despite this potential algae large scale cultivation still present several limitations and only a few algae-based products are currently present on the market. Research in the lab address these issues using genetic engineering to increase biomass yield of algae grown in photobioreactors, exploiting mathematical models to identify the modifications with the most positive impact. Molecular bases of algae metabolic regulation are also investigated using multiple –omics approaches, providing seminal information to drive genetic engineering efforts. The most promising strains generated are being tested in industrially relevant conditions to assess their potential. Photosynthesis is a process of a key relevance for the biosphere, as photosynthetic organisms convert sunlight into chemical energy, generating molecular oxygen as a secondary product. Several studies on the structure and organization of photosystems and their subunits are now available but the comprehension of the regulation of photosynthesis following changing environmental conditions is still limited. Plants, in fact, are very often exposed to variable light intensities and evolved several regulatory mechanisms to modulate the energy transfer efficiency following the metabolic constraints, maximizing light harvesting when light is limiting and dissipating any energy in excess when light irradiation is too high. Otherwise, surpluses of absorbed energy would drive to the formation of harmful oxidative species, leading in the worst cases to cell death. The regulation of excitation energy transfer to the Photosystem reaction centres is thus a key process for photosynthetic organisms survival and productivity. In this part of the research we use the moss Physcomitrella patens as a model organism to study regulation of photosynthesis. As a bryophyte, Physcomitrella patens diverged from seed plants early after land colonization and its genome carry the traces of the first plants adaptation to this new environment. The study of Physcomitrella patens can thus provide information on how photosynthetic eukaryotes adapted to terrestrial lifestyle conditions, which are particularly challenging for photosynthesis (i.e. : high illumination, low CO2 availability and fast O2 diffusion compared with the original water ecosystem), requiring the adaptation also of photoprotective regulatory mechanisms. 2. Gerotto C, Alboresi A, Meneghesso A, Jokel M, Suorsa M, Aro EM, Morosinotto T , PNAS 2016 113(43):12322-12327, IF 9.423. 4. Perin G, Bellan A, Segalla A, Meneghesso A, Alboresi A, Morosinotto T . Biotechnology for Biofuels 2015 8:161. IF 6.044 .